Engraved Crystal Clock Octagon Da Vinci Dial with Black Base and Gold Engraving Plate. Browse our engraved desk clock website for your unique personalized gift for weddings, anniversaries and birthdays. Source for Marble Clock, Engrave Personalized Clocks and Corporate Logo Engrave Clocks by Framing Achievement, Inc.
Offering desk marble clocks at cheap prices. Rating high on style and elegance, Framing Achievement's corporate logo desk clocks and personalized glass clocks appreciation gifts are the first choice in premium recognition service gifts. We are a distributor of Clock Awards, Marble Trophies and Employee Recognition Gifts. Distributor of employee award gifts, retirement gifts and awards and engrave desk clocks. Selling employee appreciation gifts, anniversary clocks and personalized employee award gifts. Browse through our employee service trophy store and you will explore a world of unique personalized clock awards with free engraving. Distributor of appreciation engraved clocks and employee recognition gifts. 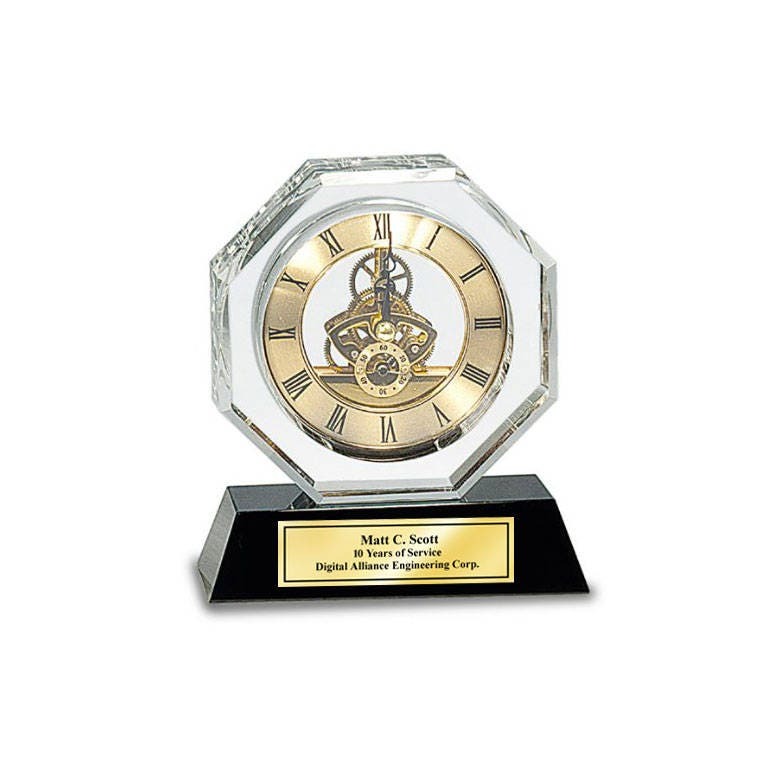 Our corporate award trophy store offers etched desk clocks at any budget. Explore the world of employee appreciation awards and retirement clock gifts at Framing Achievement store.